A summer view of Sanaigmore Bay in the north west of Islay. The colourful machair with its thousands of flowers above the beach and the rocks in the bay. 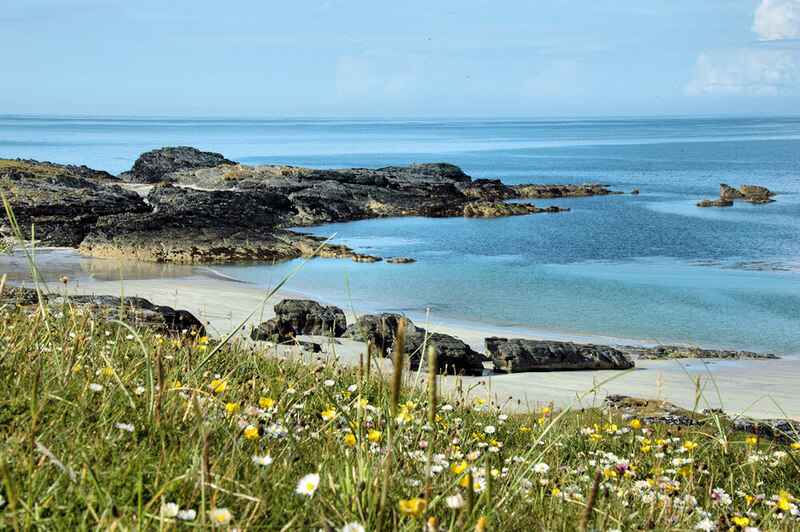 This entry was posted in Beaches, Landscape, Repost, Sunny Weather and tagged Islay, machair, Sanaigmore, Sanaigmore Bay by Armin Grewe. Bookmark the permalink.